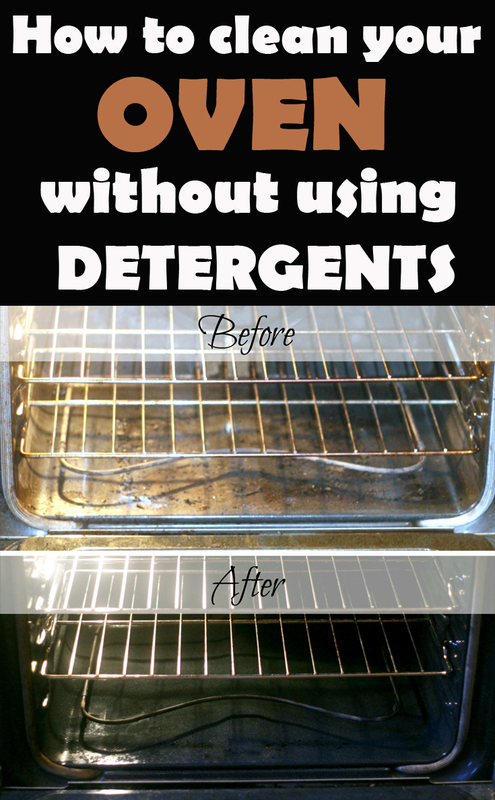 Because we want to make kitchen cleaning easier, today we present some useful and effective tips to clean your oven quickly and without using chemical detergents. See how easy it is. 1. Open the oven and remove everything inside (grills, rotisseries, temperature measuring devices etc.). 2. Mix 150 grams of baking soda with a few tablespoons of water. Adjust the amount of each ingredient until you get a smooth paste. About 3 tablespoons of water are sufficient to achieve the desired consistency. 3. Put on your gloves and spread the baking soda paste on the oven doors and walls. Avoid areas where flames come out when the oven is switched on. Baking soda will become brown, but you should’t worry. Cover the surfaces thoroughly with plenty of pasta. 4. Close the door and leave the paste act at least 12 hours. 5. After 12 hours, open the oven. Soak a cloth in water and remove the paste you spread inside the oven. If you fail to clean the paste by just using the cloth, use a silicone or plastic spatula. 6. There are still traces of baking soda? No problem. Put white vinegar in a spray bottle and spray those areas. The baking soda will turn into a kind of foam. 7. Rinse using the cloth and wipe the area using a dry towel. Put the grille back (you can clean it just like you did with the oven by leaving it overnight with the paste over it).